- Below is the latest WWE Network Pick of the Week video, featuring "Yep! Movement" leaders Kevin Owens and Sami Zayn plugging their win at the WWE Clash of Champions pay-per-view. Sami says they proved the movement is real by beating the dream team of Randy Orton and Shinsuke Nakamura. Owens says they proved that they are the greatest thing on SmackDown and in WWE, period. - Baron Corbin found himself jawing with a fan on Twitter again this week. When asking for advice on what he should listen to at the gym, a fan replied, "one of the many podcasts that talk about your lack of wrestling ability, weird stomach and hair line?" Corbin responded, tweeting, "Even with all of that i still just bought a million dollar house. What's your excuse for being a nobody hiding in the crowd." 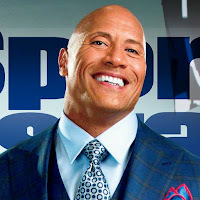 - The Rock tweeted the following on the creative side of his time in WWE, tagging Brian Gewirtz and Hiram Garcia. The tweet was in response to Rock being included in a Christmas video playlist.